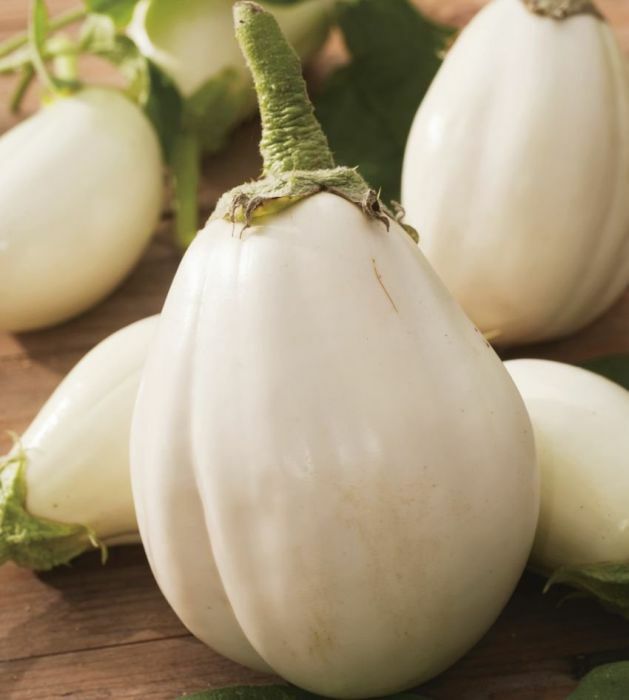 Organic aubergine seed (Solanum melongena) - Clara F1 - producing a glossy, white fruit. For indoor sowing and growing in a greenhouse or sunny, sheltered patio. Each packet contains an average of 10 seeds. Organically grown seed, grown by farmers using strictly organic farming methods. Approved by Organic Farmers and Growers Ltd (OF&G). Includes a free, weather resistant planting marker.